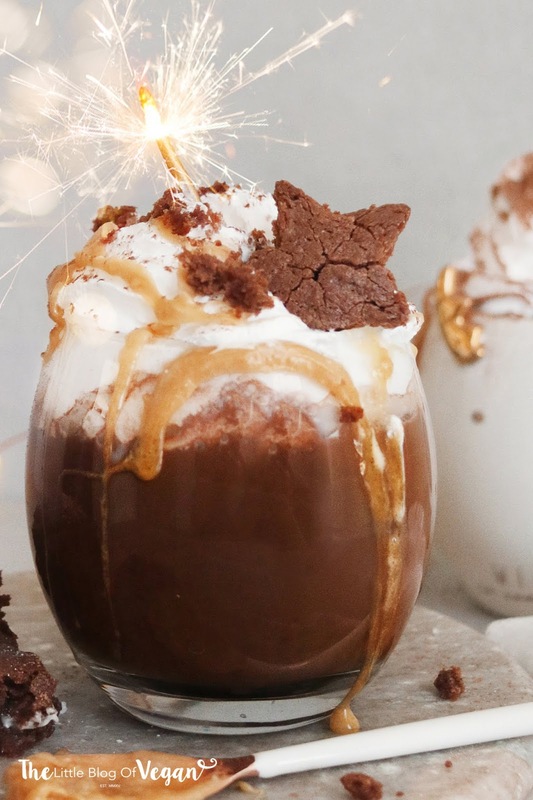 The new 2018 Starbucks festive drinks menu has just launched, and the salted caramel brownie hot chocolate really caught my eye, and taste buds! I decided to make my own at home and oh my goodness....was that a good idea. It's delicious! There's just something really warm and comforting about hot chocolates in the winter time. 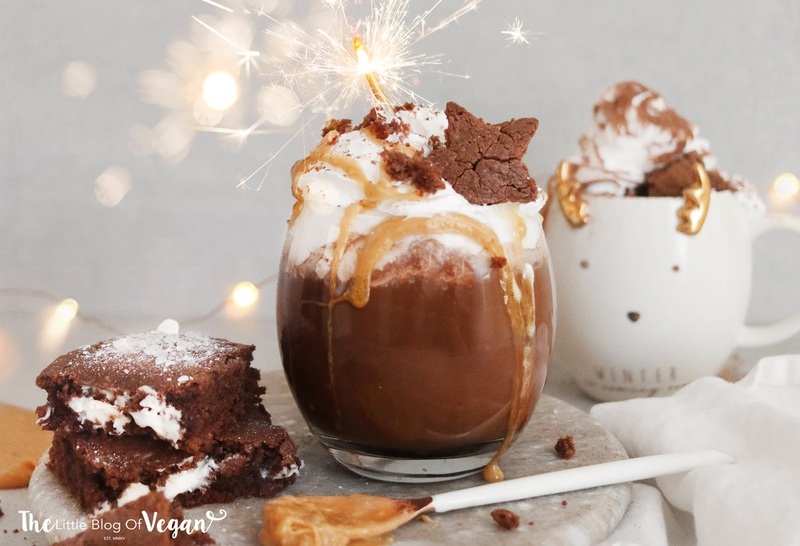 The creaminess of the drink, along with a rich chocolate flavour..topped with whipped cream, caramel and brownie crumbles... Y U M! This drink is ever so quick & easy to make, a wonderful winter day warm up in a mug! 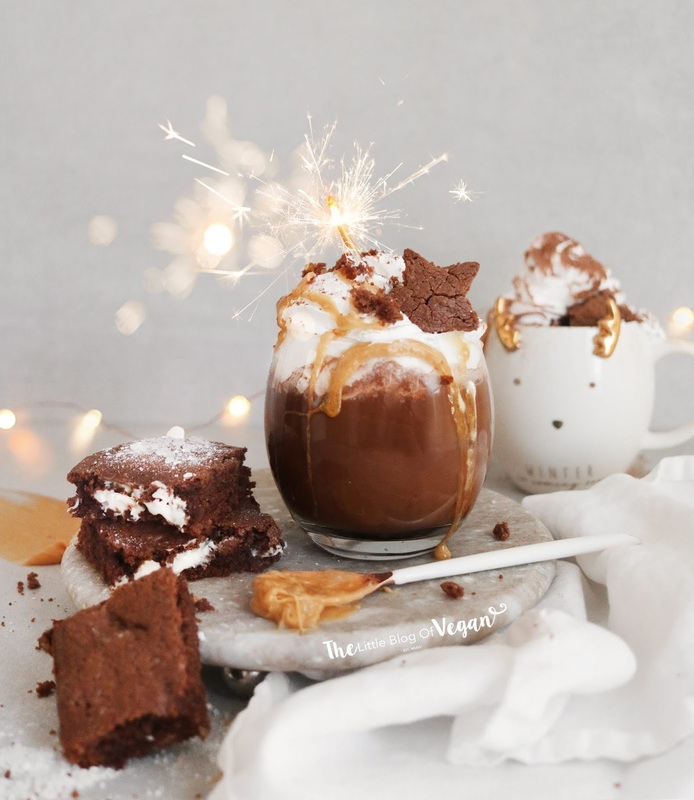 To recreate the new Starbucks drink, I topped off the hot chocolates with some homemade brownie crumbles, which are just my quick & easy brownies sprinkled over the drinks. I also used a mini star cookie cutter to add an individual brownie to each beverage. How festive do they look?! This drink is simple to make, and will impress anyone you make it for, even a Starbucks lover! Step 1- In a small saucepan, add in the dairy-free milk, cocoa/cocoa powder, vanilla extract, golden caster sugar and whisk together. Step 2- Bring the mixture to a boil over a low heat, continuously whisking. Step 3- Once the mixture has simmered for a few minutes, remove from the heat, allow to cool for further few minutes then serve. Serve with a swirl of dairy-free cream (you could use a coconut cream or a coconut whip), a drizzle of caramel sauce, pinch of salt and brownie crumbles. Oh my gosh these look fabulous and so chocolatey!